For the majority of this afternoon, my Twitter feed was full of tweets regarding various managerial casualties and appointments. Billy Davies had been sacked as manager of Nottingham Forest (with rumours that Steve McLaren will be the man to replace him) and Alex McLeish had emailed the Chairman of Birmingham City stating his resignation. Meanwhile, Uwe Rosler and Steve Eyre (preceding Keith Hill – now at Barnsley) have joined Brentford and Rochdale, respectively. I think it’s safe to say nobody saw any of these decisions coming. But then again, nobody thought at the start of the season that Barnet would be known as the ‘managerial circus’ for the coming campaign. Four managers in the last 9 months and a fifth appointment in a year with Lawrie Sanchez taking the helm for the 2011-12 season, it certainly wasn’t a boring time for us Bees. 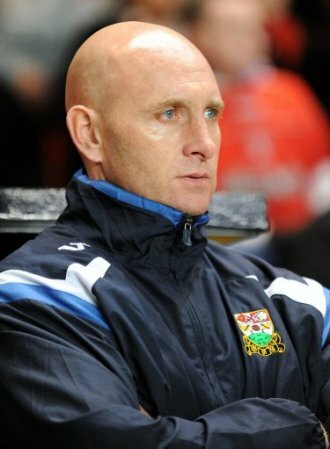 At the start of the season, the manager’s job was given to Mark Stimson. 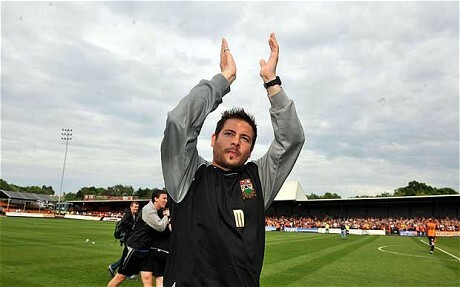 I can safely say, the majority of Bees’ fans weren’t happy with the appointment – in his previous season in charge of Gillingham, not only had he got the club relegated, they also had the worst away record in the division with not a single away win all season. Of course, we were hoping this was a minor blip in his managerial career and were willing to give him the benefit of the doubt and get behind him. 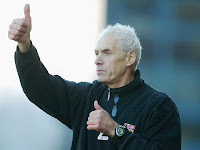 However, there is great cause for concern when you’re watching the scores on the videprinter and your scoreline is depicted by words, rather than numbers – as was the case on August 21st , his fourth game in charge, when we got smashed at Gresty Road by Crewe SEVEN – nil. After that defeat, I think it’s pretty safe to say, nobody wanted him at the club anymore – out of sheer embarrassment as much as anything. He left before the New Year – again, without an away win under his belt. Paul Fairclough, former manager took over, as temporary boss – leaving his post behind the scenes of the club. He was what you could call a ‘safe bet’. Fans know his tactics inside out and know what to expect from him. It’d be fair to say he managed to settle the ship – defensively we weren’t as bad and the January loan signings were given a chance to shine, and hopefully push the team up the table. Unfortunately in his tenure results weren’t that much better – we were in dire need of a few elusive wins, as relegation looked imminent. Burton Albion, at one point, had EIGHT games in hand; imagine if they’d got the maximum 24 points. Luckily for us, they continued to slip up and although we shouldn’t have had to rely on others results, it certainly made us feel better. · 23 Mar 2011 ... Martin Allen is back in management as the new boss of League Two side Barnet. 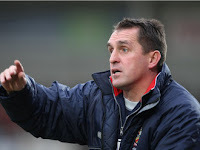 · 11 Apr 2011 ... Martin Allen has left Barnet and been appointed as the new boss of Notts County. Two wins and a draw (7 points from 9) in his three games as manager brought a lot of belief and optimism that we could master the Great Escape for a second consecutive season. Obviously, the feeling of disappointment and anger were more predominant but we had to accept what was happening and pick ourselves up for the final few games of the season. 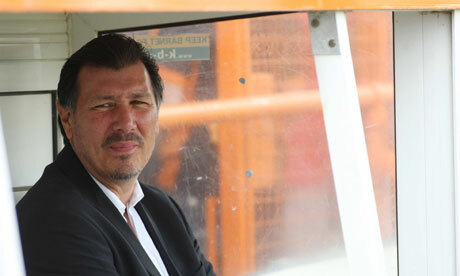 The fourth manager of the campaign was former player Giuliano Grazioli. A legend as a player – his countless goals won us promotion to the Football League in 04/05 – and a real genuinely lovely guy (you don’t hear that a lot in football! ); everyone was pleased he got the job. Even if we were to go down, we’d in no way blame him – he lives and breathes Barnet. We managed to master the Great Escape again, and Geeg now assists Lawrie for the upcoming season. To cut a long story short, I guess it’s fair to say that football is so unpredictable and these days managers come and go so often – management is definitely a tough business!